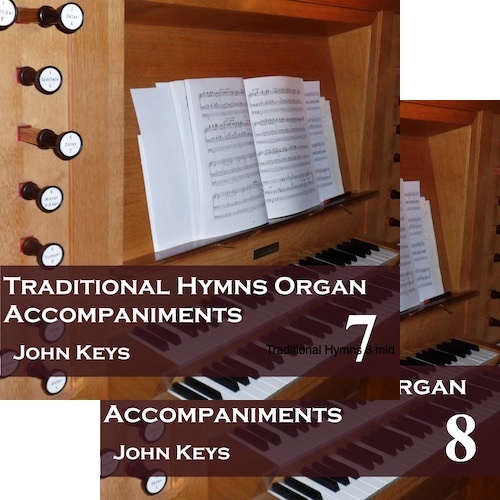 A superb value set of hymn accompaniments on CD - 138 popular traditional hymns from Ancient & Modern New Standard (scroll down for full list of hymns). Or add another 48 hymns, taking the total up to 186, with the More Popular Hymns 2 CD set. Albums or tracks can also be downloaded at a cheaper rate: the download version is known as Traditional Hymns. There are no voices on these recordings, just a playover and the accompaniment. We also have the option of adding an extra album of alternative US tunes where the UK tune is not so often used in the US. If you would prefer to purchase the Core Set + More Popular Hymns as MP3s on a single disc or memory stick, please see the Core Set Plus page. The CDs or MP3 set can be bought online here. Alternatively, you can drop us an email at info@cul.co.uk with your order requirements and we will send back an invoice with the bank details to make a bank transfer, or send a cheque for the appropriate amount made out to Creativity Unleashed Limited to Creativity Unleashed Limited, 31 Eastbury Way, Swindon SN25 2EL, or buy using a card over the phone on 0117-230-7123 (Cheques and purchases over the phone in pounds sterling drawn on UK bank accounts only). Any or all of the tracks for these albums can also be download from Amazon and iTunes, while the Core set (6 albums) or Core plus More (8 albums) can be downloaded as single purchases directly from us. We also have available for download the alternative US tunes album (Inspirational Hymns Vol 1). To download the Core, Core plus More or Alternative US tunes from us, use the Buy Now button here. For individual tracks or whole albums from Amazon/iTunes use the appropriate button in the Hymns Included section below.